Whether you’re cleaning out your closet, reselling items that you purchased at a sample sale, or selling your own original works of art, apps can help you stay on top of your online reselling ventures. I run my own small reselling business. I purchase items at retail sample sales—giant sales that retail businesses hold to get rid of extra merchandise, usually at a significant discount—and then I sell them on eBay for a profit. My reselling business doesn't exactly pay the bills, but it does bring in a decent amount of extra income. Since I'm based in the San Francisco Bay Area, traveling to these sample sales (which often take place in Los Angeles or New York) puts me on the road a lot, with little more than my mobile phone for company. Luckily, I can use my phone to check and manage my eBay auctions, track my expenses, log inventory, and even create listings. 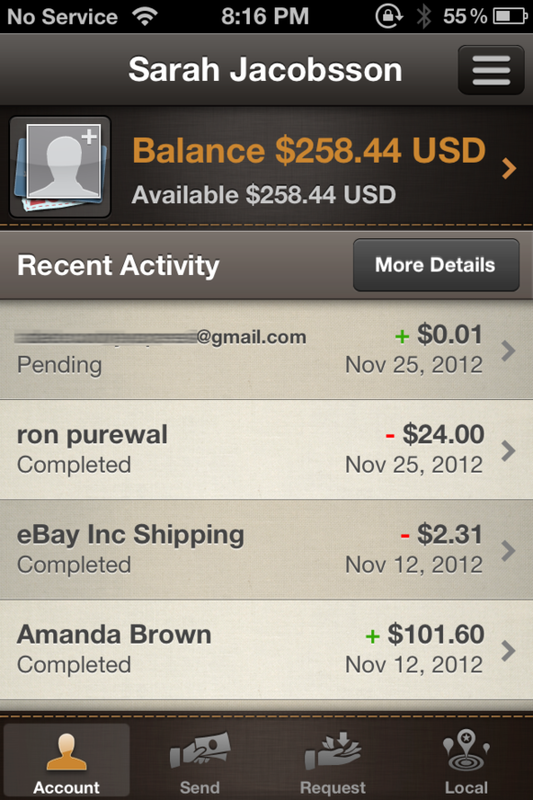 Here are five apps that I use to stay on top of my reselling business. 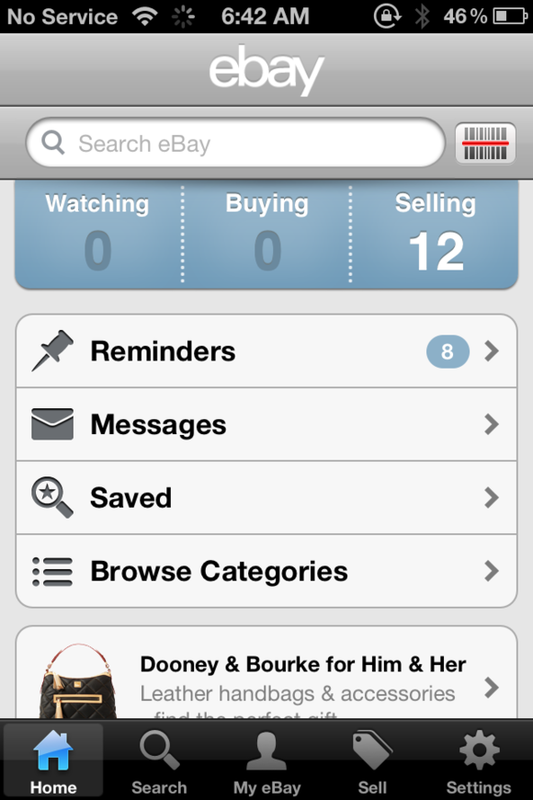 Keep track of your current auctions with eBay on the go. eBay is a reseller’s most valuable resource, and its mobile app is pretty helpful, too. The eBay app lets you manage and track the items you’re selling, communicate with potential buyers through the eBay messaging system, and even sell items directly from your mobile phone. The eBay app has a couple of important features for resellers. First, its search function allows you to search eBay for whatever item you plan on selling. It’s always a good idea to run a search for an item before posting it for sale (and perhaps before purchasing it for resale), because you’ll be able to see what it’s selling for on the auction site, and hence what price you can reasonably ask for. 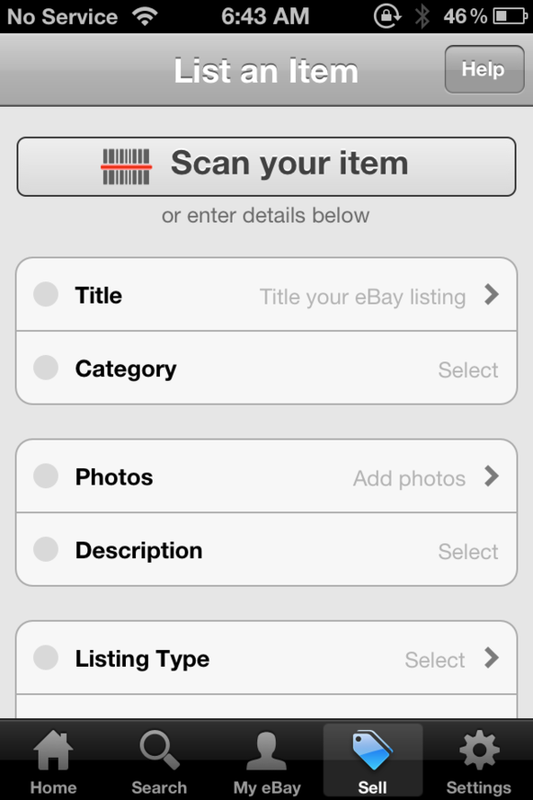 You can search the eBay app by using key words or by scanning a UPC, EAN, or QR code; and you can refine your search to show completed listings or sold items only. Searching for completed listings will let you know if other sellers are successfully selling the items you’re looking to sell. Searching for sold items will let you know the prices that the items are going for. You can even create new listings straight from your phone. Use the eBay app to track your active listings, to relist unsold items, to accept or reject best offers on items that have a fixed price, and to answer buyer’s questions through the eBay messaging system. You can also list new items. Though using the phone app to create a new item listing is harder than using your primary computer, posting your item right away can help ensure that your auction ends at the right time. (Hint: you’ll sell more items if your auctions end on Sunday afternoons.) In addition, eBay occasionally offers mobile listing promotions, such as not imposing final value fees if your item sells. This can save you quite a bit of money, since final value fees come to around 9 percent of the total sale price of your item. If you resell through eBay, you probably accept PayPal payments. But just because you have the eBay app doesn’t mean you shouldn’t also download the PayPal app. 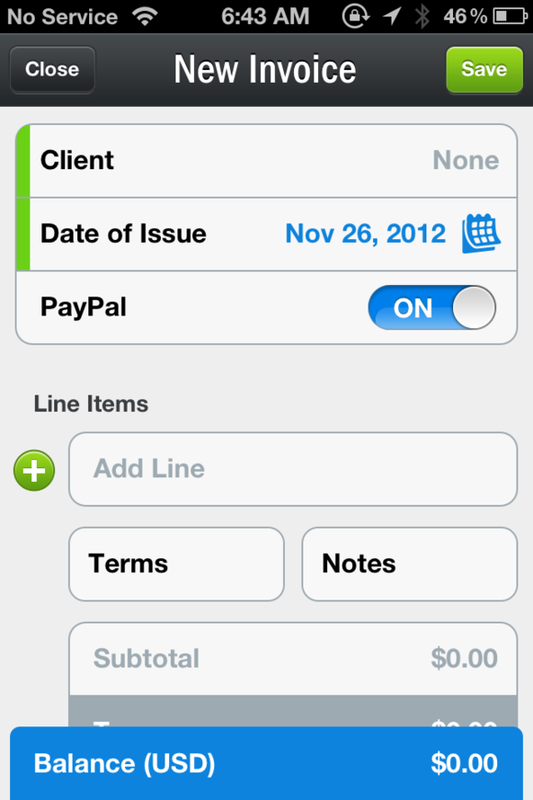 PayPal’s app lets you track your PayPal account balance, which is helpful for resellers who want to ensure that they’ve been paid. PayPal lets you complete secure financial transactions with your buyers. Because payments post to your PayPal account instantaneously, checking your PayPal account is a simple way to determine whether you’ve received payment for an item. The eBay app will alert you when a buyer makes a payment, but it’s still a good idea to double-check your PayPal account to confirm that payments have posted before you ship items. You can also use the PayPal app, as a reseller, to send payments to users (for example, if you want to offer a refund), request money (for example, if you want to do an off-eBay transaction), or find local businesses that accept PayPal payments. PayPal transactions are sometimes covered through seller and buyer protection, so you don’t have to worry about foul play. If you're selling an item in person, complete the transaction with Square. Even if you’re just a casual reseller, eBay takes up to 9 percent of your total sales price, and PayPal takes another 3 to 4 percent. But if you’re savvy, you can avoid these fees by selling in person and taking credit cards that use Square’s mobile card reader and app. Square is a credit card reader that attaches to your phone or tablet’s headphone jack and works in conjunction with a free app for iOS and Android devices. To obtain a free Square card reader, you just sign up on Square’s website. Square charges 2.75 percent per credit or debit card swipe (Visa, MasterCard, Discover, or American Express), so you can sell items offline while still accepting card payments. Use Square’s card reader and app to sell items through Craigslist, at a garage sale or flea market, or to your next-door neighbor. Evernote helps you keep track of your inventory. Smart resellers keep track of their inventory. This task is a little different from expense tracking, since you can’t deduct the cost of unsold inventory at the end of the year. 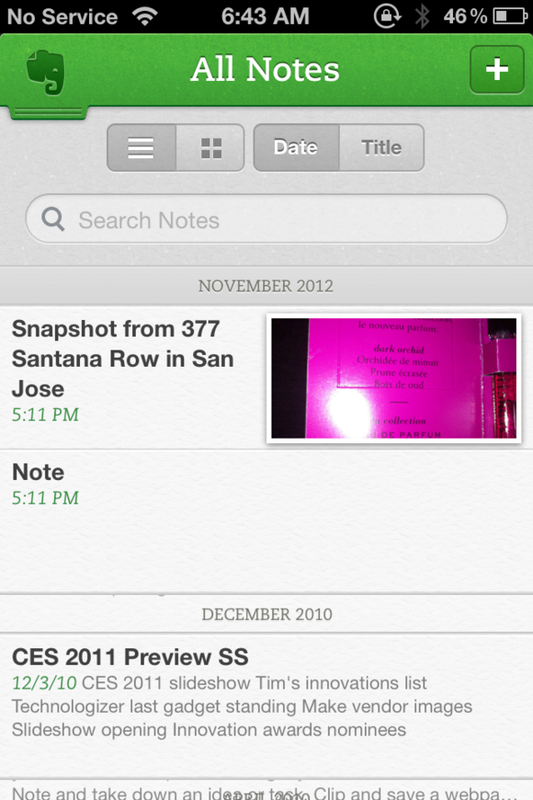 A note-taking app such as Evernote is practical for inventory tracking. Evernote is especially helpful because it can sync notes, lists, and photos across multiple platforms, enabling you to access your notes from any device. One way to keep track of inventory with Evernote is to snap photos of the front and back of all receipts connected with your inventory purchases. Doing so will help you keep track of how much you paid for each item (including tax, which should factor into your calculation of your final profit), when you purchased the item, and whether you can return the item if it doesn’t sell. Purchasing discounted items from stores with good return policies (such as Nordstrom Rack, Saks Off Fifth, and Neiman Marcus Last Call) is a great way to stock up on no-risk inventory—if the items don’t sell, you can return them and get your money back. But you need to keep track of the return-by date for each item, or you may find yourself stuck with unsellable inventory. FreshBooks is a handy tool for filing invoices, logging hours worked, and billing clients. If you flip new items for profit, or resell older, used items for profit, you're legally obligated to report this profit to the IRS. One benefit of this is that you can deduct costs associated with your reselling business—such as the cost of parking and gas if you go to a store to pick up an item, or the cost of storing inventory (if you have to rent a storage locker, for instance). To keep track of expenses and other tax-related issues associated with your reselling efforts, download an accounting app such as FreshBooks. FreshBooks lets you create invoices, keep track of clients (the app is free if you have fewer than three clients), track time, track expenses, manage projects, and create estimates. As a reseller, you’ll most likely be using the time-tracking and expense-tracking features; but if you’re reselling offline, you can also use the invoices option to create invoices for particular clients. You can use the time-tracking feature to create timesheets to help you keep an eye on how much time you’re investing in your reselling efforts. The expense-tracking feature lets you log expenses; and if you attach a photo of each receipt, you can keep track of the money you spend on reselling-related costs. Whether you’re an eBay Power Seller or just a casual closet cleaner, your mobile device can help you resell items for profit and to clear valuable shelf space. The five apps discussed here will enable you to keep track of your expenses, inventory, PayPal balance, and online auctions, and even to accept credit and debit cards for in-person sales. For coverage of more apps designed to keep track of your (hopefully) lucrative sales endeavors, check out this article on running a small business from your smartphone.